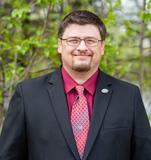 A lifelong Alaska Resident, Brian has been an active Realtor since January 2000 .He specializes in First time home buyers, Military buyers, Investment buyers, Mat-Su valley buyers, Relocation and other buyers with special needs. With an advanced, integrated marketing system Brian has also Sold many Condo's, Single Family homes, vacant land and Multi family investment properties. A high level of service, positive attitude and broad knowledge of the Real Estate industry allows his clients to have a distinct advantage. Whether your looking to buy or sell, Brian will be there to answer your questions and guide you through the transaction.